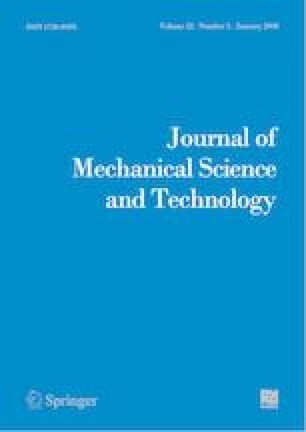 An experimental study is performed to explore the effect of swirl and number of swirler vanes on combustion characteristics of methane inverse diffusion flame (IDF) using 300 swirler. Influence of varying the number of vanes (4, 6 and 8) on structure and appearance of IDFs is studied. Swirling IDFs are observed with dual flame structure. Length of both IDFs depends on Reynolds number (Reair) and equivalence ratio (Φ). Temperature measured along the centerline in swirling IDF is greater than non-swirling IDF. Radial temperature distribution shows that the swirling effect intensify combustion process. Effect of Φ on CO emission revels that non-swirling IDFs emit more CO compared to swirling IDFs. The lowest NOx emission is observed in swirling IDFs with 6 vanes. Study indicates that the IDFs with swirl results in low emission of CO and NOx. Vipul Patel is pursuing his doctoral study in the area of inverse diffusion flame from Department of Mechanical Engineering, Sardar Vallabhbhai National Institute of Technology, Surat, in India. He received his B.E. degree in 1994 from Department of Mechanical Engineering, Sardar Patel University and M.E. degree in 2009 from Maharaja Sayajirao University of Baroda. Rupesh Shah is currently an Assistant Professor in Department of Mechanical Engineering, Sardar Vallabhbhai National Institute of Technology (SVNIT), Surat, India. He obtained B.E. degree in 1997 from Department of Mechanical Engineering, Sardar Vallabhbhai National Institute of Technology, Surat and M.E. degree in 2002 from Department of Mechanical Engineering, VJTI, Mumbai. He received his Ph.D. degree in 2014 from Department of Mechanical Engineering, SVNIT, Surat. His research interest includes combustion and numerical analysis.